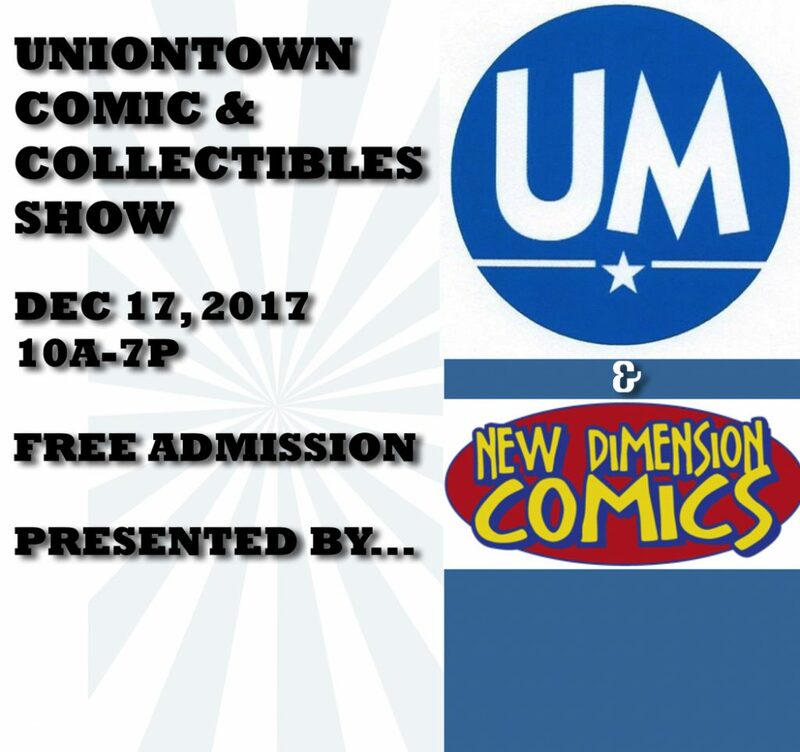 UNIONTOWN, Pennsylvania – The first ever Uniontown Comic & Collectibles Show will be held December 17, from 10am to 7pm at the Uniontown Mall, brought to you by New Dimension Comics, 3 Rivers Comicon, and Uniontown Mall. Uniontown Comic & Collectibles Show is bringing in a variety of artists and vendors from all over the Southwestern Pennsylvania area for a family friendly celebration of comics, toys, collectibles, and the best of pop culture. In the spirit of making this a true community event, admission is free for everyone.